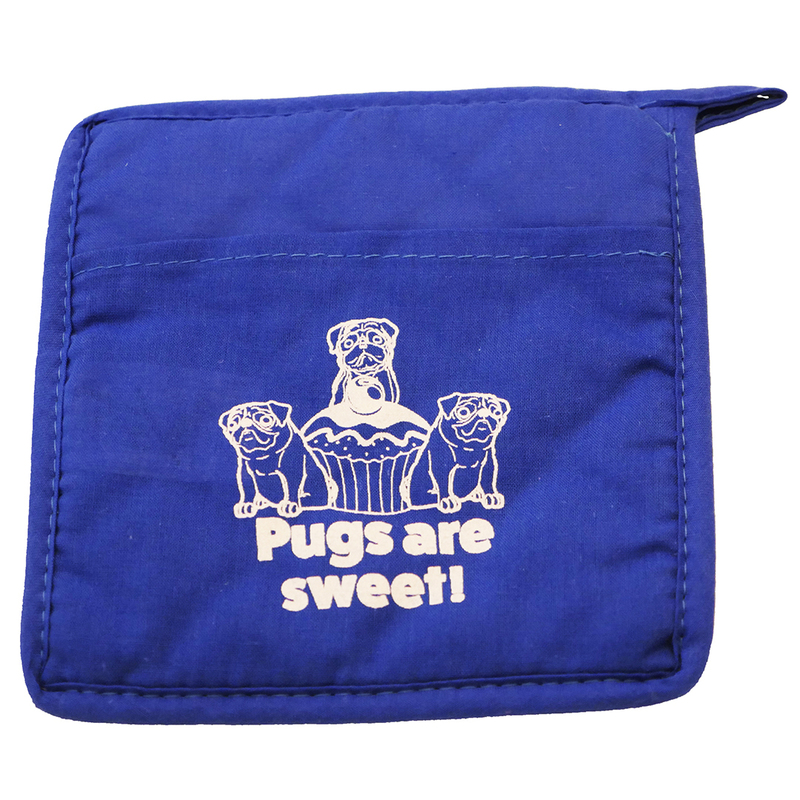 This custom-printed pug potholder says it all. We love our pugs because they are so sweet! Now you can think of your own sweet pug every time you pull something out of the oven. The quilted potholder is made of 100% cotton and includes a hanging loop for easy storage.